Italian and French are well known for being two of the world’s most beautiful languages. But just what is it about them that their sound is so beautiful to so many ears? Opinions undoubtedly differ on this, but I think it has something to do with the vowels of Italian and the liquid intonation of French. These open, continuous sounds are pleasing to most of us. But while many profess their love of these languages, it’s clear that all human languages have their respective beautiful aspects, and I’ve often wondered why we haven’t placed greater emphasis on these aspects in our attempts to generate interest in multilingualism. That is, languages are not only tools for making oneself understood; they are sources of joy, beauty, and rich new worlds for us to inhabit. Many who argue for the value of multilingualism and a global consciousness do so because of a direct interest in trade, jobs, or an economic or political advantage. I won’t rehearse any of those well-tread paths in arguing for the value of learning more than one language. Instead, I will insist that multilingualism is one lever for the development of a broader academic, cognitive, and professional skill set that goes well beyond any immediate economic payoff. Multilingualism is a key aspect of life for most people in the world (and has been throughout history), and is a rich source of engagement, playfulness, and joy. It’s something that enriches one’s life and should be celebrated for what it truly is: a core part of any person’s education, cultural identity, and sense of self. In this way, just as one might listen to a symphony, the latest pop hit, or an audiobook of a classic novel, I thoroughly enjoy listening to and appreciating the particular sounds and sonorities of any human language—even when I don’t understand a word! I encourage anyone reading this to begin to attune themselves to the sounds of language as an aesthetic experience, particularly as you start to learn or teach a new language. Tune in to the sounds that are particularly appealing to you and try to learn intuitively about the most pleasing sounds in that particular language. Use this method as a way to gain an appreciation of the language itself, and to begin to internalize the patterns and rhythms of the language. When encountering a new language for the first time, it’s important to grasp the unique patterns and contours of the language—to hear its music. Sound is a great place to start because its appreciation can be a visceral experience, just like listening to music. But grammar too can be a source of delight—think of it as architecture. Just as a Gothic cathedral or a Frank Lloyd Wright house can be beautiful, so can a language’s grammatical structure be beautiful. For instance, many people find Chinese elegant for its lack of grammatical inflection, and its economy and efficiency of expression. Others find beauty in what they perceive as the logically structured German language. And I am not alone when I profess a love for the beauties of the highly complex Japanese honorific system. A language’s visual artistry is also important to appreciate in its writing system, and scripts like Arabic and Chinese have long traditions of calligraphy. The glyphs of the ancient Maya make visual art of every single word or letter, and take the aesthetic potential of written language to the absolute limit. Maya scribes were obviously not just recording information or communicating ideas—they were creating deeply artistic statements that combined sound, script, and visuality. In a similar way, Chinese characters have a graphic element that makes reading them a completely different cognitive experience than reading an alphabetic system. Whatever language you’re learning or getting in to, it’s important to begin to seriously appreciate the music (phonology), architecture (grammar), and visual artistry (script). Be a connoisseur and an enthusiast before you become a learner. I think this kind of approach might make acquiring other languages more exciting and attractive to a broader group of people—just ask those who love the languages of Tolkien’s Middle-earth, Klingon from Star Trek, or Dothraki from Game of Thrones! 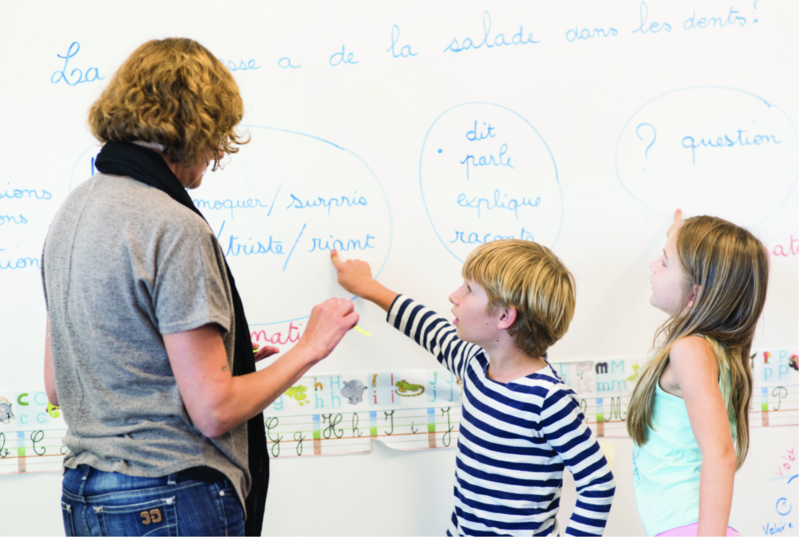 Don't miss your opportunity to see ISTP's dynamic bilingual education in action in the classroom – book a tour today!